Two weeks ago, my best friend’s daughter joined mine in becoming a teenager! I delivered her birthday gift early when we visited them in Florida in August. 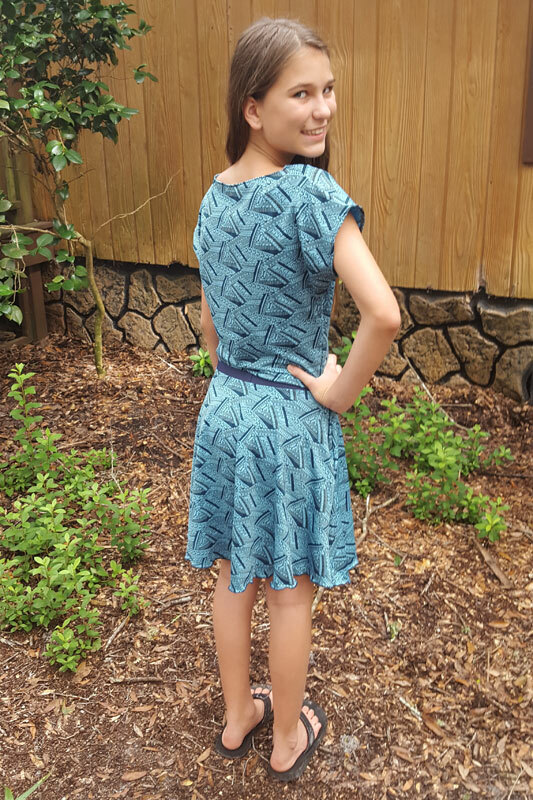 I took pictures that week with the intent to blog about it as soon as we got home, but life got in the way and here I am just showing off the dress I made … six weeks later. *Insert sigh* Better late than never, I suppose! 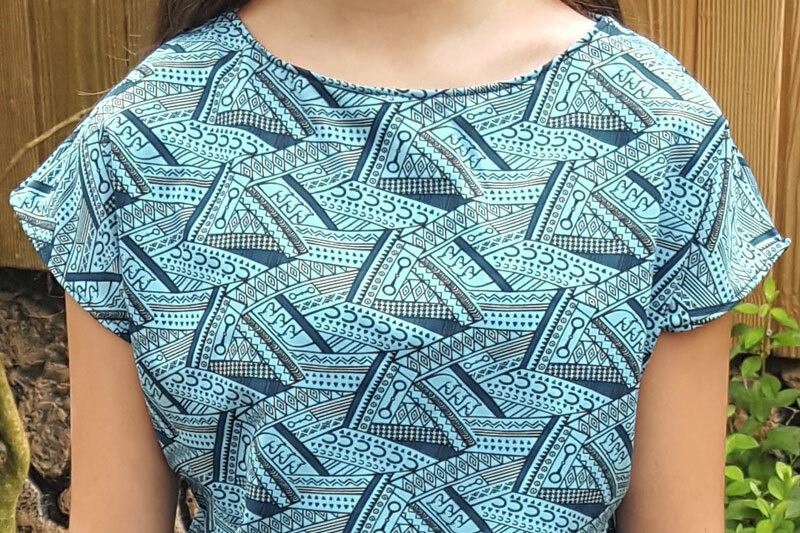 I decided that a Carlie’s Dolman Top mashed with the Girl’s Capsule Skirt would make the perfect dress for her. 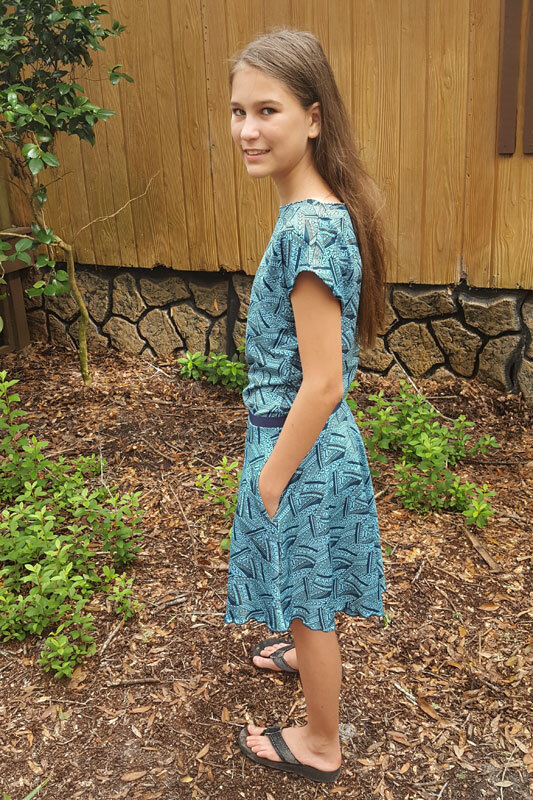 I’ve sewn this pattern mash before for my younger daughter and my older daughter and they’ve both worn it repeatedly until they outgrew them. It’s cool enough to garner teen approval, but not too grown-up looking for us moms who are “losing” our babies. Haha! I added navy blue elastic in the bodice/skirt seam to help stop the waistline from stretching out of shape. 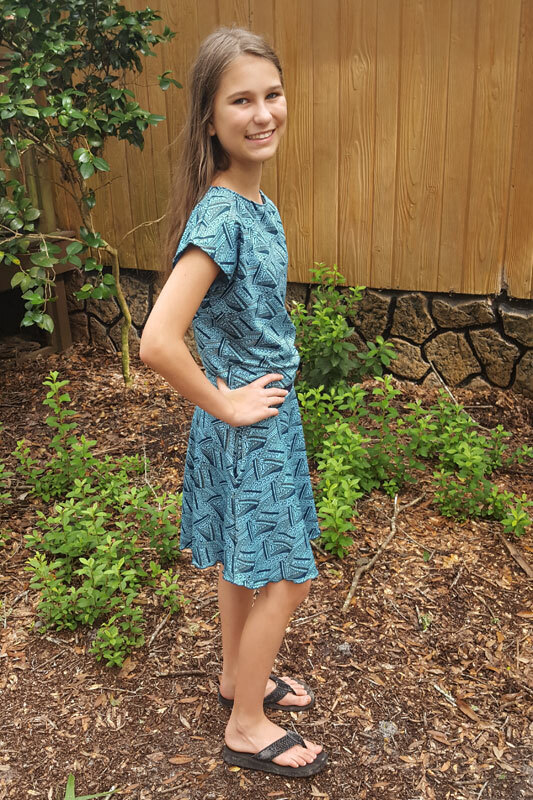 I also opted to do a rolled edge hemline in order to keep as much length as possible for this girl who’s sure to have a growth spurt soon! I bought this fun horse print performance fabric in a bundle from So Sew English almost a year and a half ago with this girl in mind since she is horse-crazy. This print is no longer in their shop, but the quality of this performance fabric has me wanting to sew more of it! The design is also great as it’s subtly horse-themed without being too “in your face” or western cowboy themed. She loved looking more closely and pointing out the rows of horse heads, horse shoes, and bridle bits among the other squiggles and designs filling the fabric. 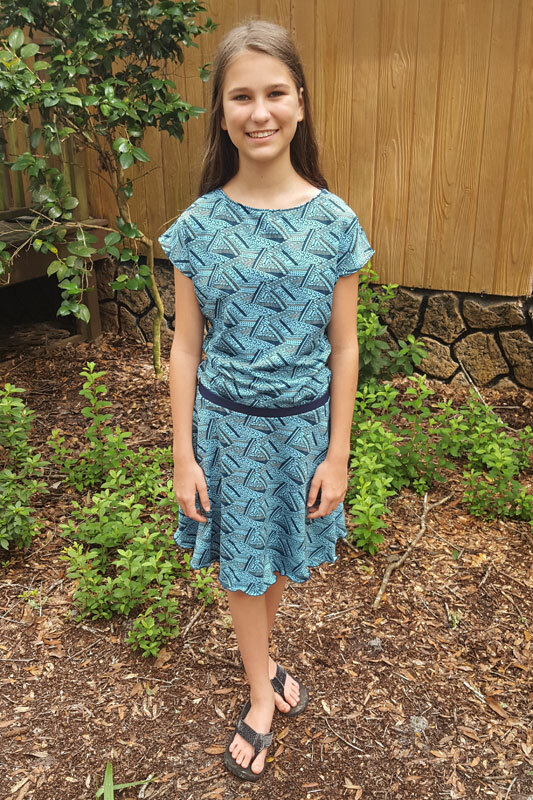 I’m so glad that, even as she turns 13, my friend’s daughter loves receiving handmade dresses from me. While we were there, she also asked me to make her a skirt for her Halloween costume. So I guess I know what’s next on my list!